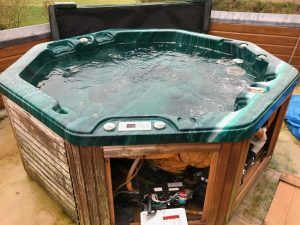 Looking for hot tub service and repairs in Leicester and Leicestershire? Where you aware that healthy hot tubs have a local engineer that covers this area? Well that is exactly right we are often in Leicestershire. In fact we have a large fantastic customer base there so chances are you have heard of us from friends or family. As you can see from the examples of work carried out below, there are some lovely tubs in the area we look after. 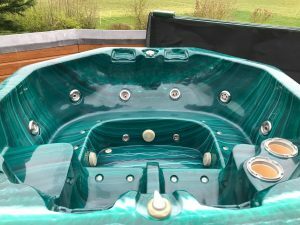 A customer with a lovely hot tub location with great views requested a full service with repair. 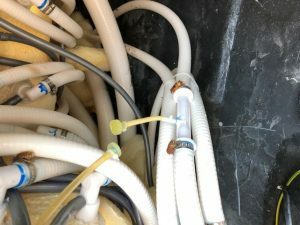 Some of the jets on the hot tub had lost power and the customer was afraid the pump was broken. Firstly our local hot tub service and repair specialist got straight to work on the tub flushing the pipe work. Secondly after checking the hot tub over our engineer discovered the pump was fine. The jets just needed a good service and TLC. Our engineer gave the tub a thorough deep clean removing the jets and all water possible. Finally after refilling and checking over again the hot tub jets were working like new. Another happy engineer and customer. A previous customer had recommended us to a new client whose tub had tripped the electrics. Now the tub would not heat up. On inspection of the heater tube our engineer found black melted plastic on the heater element. Unfortunately the impeller on the circulation pump had broken. This was then pushed through the heater and caught on the element. 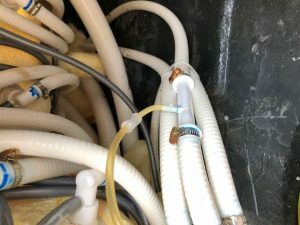 As the hot tub heated the plastic melted breaking the heater, as a result this would cause the tub to trip. Firstly our engineer fixed the pump, in addition to changing the heater. In conclusion and most importantly our engineer was able to find fault and cause and rectify the problems. All the benefits of calling out real engineers and not just part changes. After running out of warranty from the supplier a customer with a leak called Healthy Hot Tubs. Firstly after our engineer checked for leaks it was quickly diagnosed. 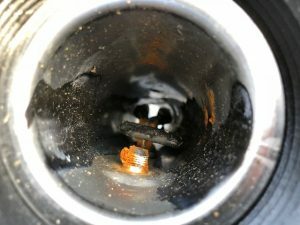 The one way (non return) valve from the ozonator had split in two causing the tub to empty. Important to note for our customers is healthy hot tub engineers carry the most common parts on van stock. 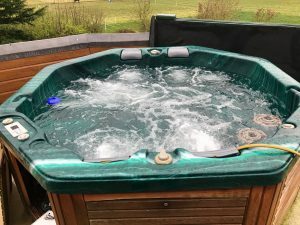 As a result our engineer was able to replace the valve quickly and had the hot tub back up and running. The customer was over the moon as he wanted to have a 2018 World cup hot tub party a few days later. 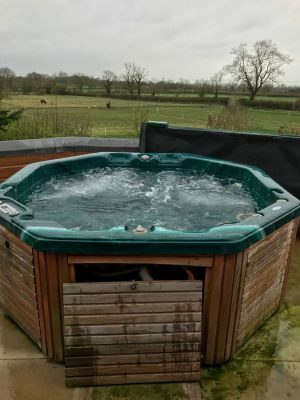 Healthy Hot Tubs cover Leicestershire for hot tub Service and repairs including Leicester, Loughborough, Hinckley, Coalville, Lutterworth, Ashby-de-la-Zouch, Market Harborough, Narborough and Kegworth to name just a few.